Friday Fictioneers – Because MUSIC! Suddenly, a humongous *BONG* resounded throughout the countryside. 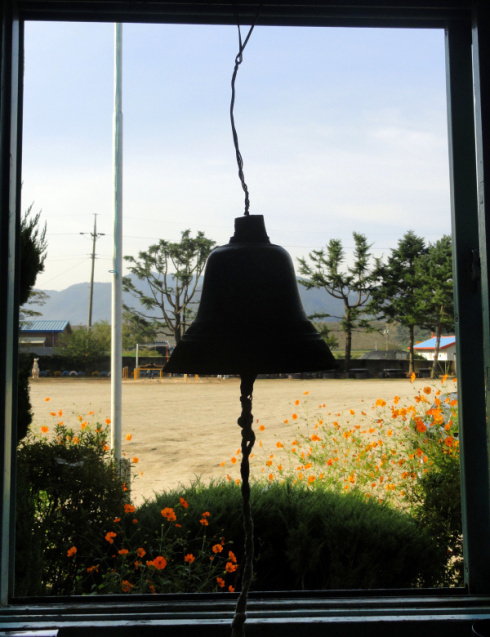 The sound was so thick and rich, the men still vibrated after the bell went silent. Daniel “Danny” Barstow hated walking. Every time he ended up walking, something either had gone wrong in his life, or was going to go wrong. Whenever he got that feeling of walking, he tried everything to avoid going out. No matter what he did, though, he would always find himself walking and with a new set of problems to deal with. The first time he ended up walking was ten years before, after he broke up with his longtime girlfriend, Yolanda. He walked for 20 miles before he finally stopped. He was cold, tired, and hungry, and ended up spending over 200 dollars on a hotel room for the night. For the first few years, whenever that happened, it was always something that went wrong that caused him to walk. About five years later, he found the first time that something bad happened after he went walking. He wanted to take a nice walk around the park, and ended up in the next county 18 miles away. He was picked up by police and charged with vagrancy and being a public nuisance, which were later dropped after finding out that he wasn’t a drifter. Three more years later, he found that feeling of walking again. He was laying in bed when he got the urge to walk. He realized this and he took a sleeping pill to try and stop the walking from going on. When he finally woke up, he was in the middle of a cow pasture, 15 miles from home and in the blazing daylight sun. He was arrested for trespassing, and subsequently released. And now, today, he had just gotten laid off from his job. Working for a construction firm as their lead designer, the economy turned sour for him and he was laid off. He didn’t know how much of a bad day it would have been, until he dropped his car off at home. That’s when his cell phone rang. When Gabriel said the word ‘walk’, Danny’s feet shifted. Danny’s feet shuffled this time. As Gabriel kept saying the word, to Danny’s great annoyance and fear, his feet started walking on it’s own. Gabriel did not stop saying the word until Danny arrived at the bar. Danny just hung his head and looked his inevitable future. He was at the mercy of other people to walk where they wanted him to go.